I started to volunteer in 1992, but it was chance that led me on the path of humanitarian aid. Through the medical association AMD, I worked as a project manager in countries through Africa and Asia. It was through these initial volunteer experiences I learned to appreciate and enjoy the work on the ground while still respecting the values and culture of the countries where we worked.. 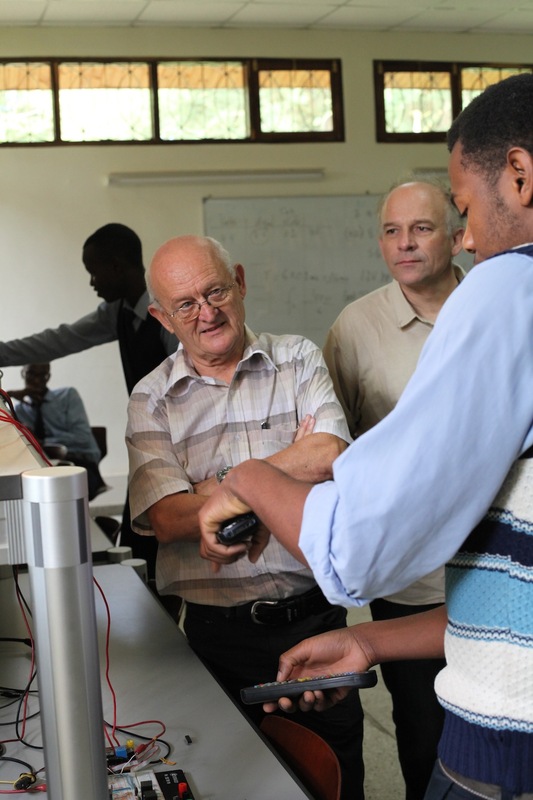 In 2003, on a trip with friends through Tanzania under the leadership of our friend Francis Brochon, president of FTE, we decided to invest in a project to build an education centre to supply the local community with technical and vocational training (today KIITEC). The aim was to upgrade the local teacher competencies (train local trainers) and help disadvantaged youth to learn a trade and get a good job. Following the launch of KIITEC, together we created the non-profit organisation ADEI and established it as an organization committed to field operations specialized in technical trainings and strategic support in developing countries. My combined career as an engineer at CNRS, Director of Studies in Industry and as a Part-time Lecturer at the University level has allowed me to invest myself fully in this project and bring my years of expertise and experience in the field. For me, to volunteer is a deep commitment that sometimes takes longer than expected (and of even money) but bringsabout wholespme relationships that are built and shared, leading to real personal development. It is so rewarding to be able to share my experiences to help others, and to see the young people evolve, find work and truly flourish. It’s a wonderful experience to be a part of the process in helping young people transform into productive members of society contributing directly to social and economic development within their countries. It is also extremely satisfying to see a project evolve from beginning to end and then continue on in a sustainable way, supported locally by local actors. I consider our work to be a success when the locals finally say; “Thank you, we no longer need you”. As we enter the next phase of our projects we are looking to replicate our successes and continue to make positive change in the lives of others through technical education. I encourage you to join us by bringing your expertise, commitment and desire to share, helping us make a lasting impact in East Africa.